Carthew-Alderson Trail in Waterton Lakes National Park. 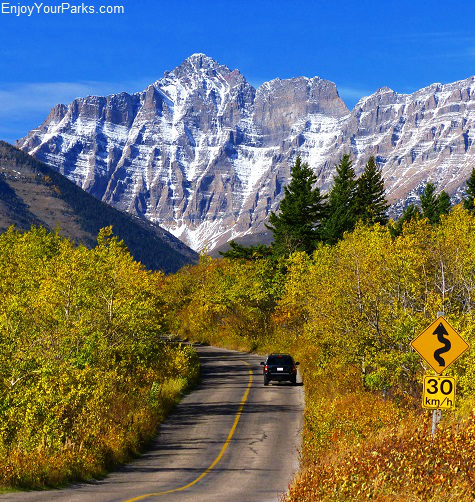 Red Rock Parkway, Waterton Lakes National Park. 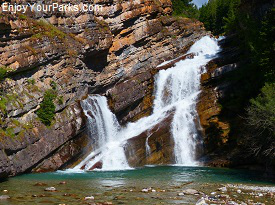 heart of Waterton Lakes National Park. 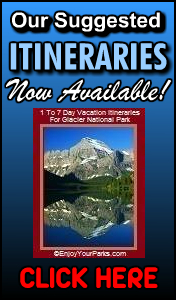 There is also the ever-popular Waterton Lake Boat Tour that takes you to Goat Haunt, Montana, which is the gateway to the remote Northern Wilderness of Glacier National Park. 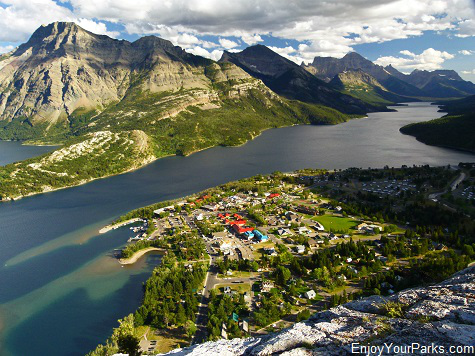 And right in the center of Waterton Lakes National Park is the charming little village of Waterton Park. This adorable camelot provides wonderful restaurants, shopping hotels, motels, cabins and much, much more. 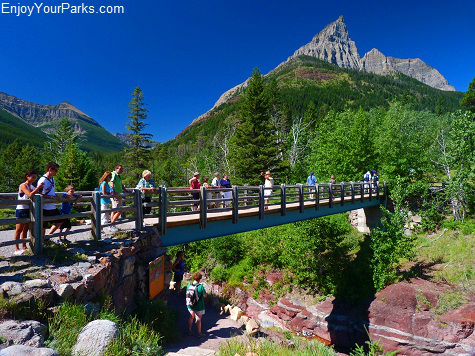 So after a nice drive along the parkways, or after a long day on one of the many hiking trails found throughout Waterton Lakes National Park, you can enjoy one of the cutest little towns you've even seen! 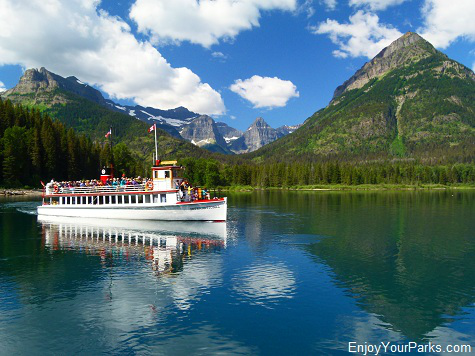 Waterton Lake Boat Tour in Waterton Lakes National Park. 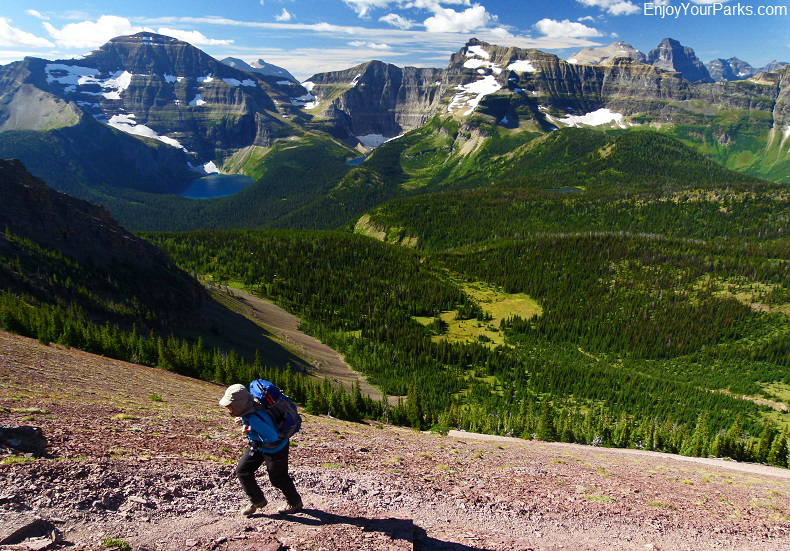 View from The Bear's Hump in Waterton Lakes National Park. 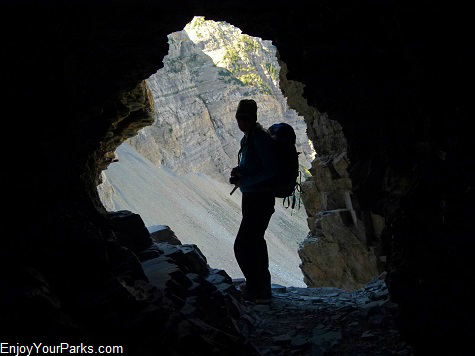 Crypt Lake Tunnel in Waterton Lakes National Park. 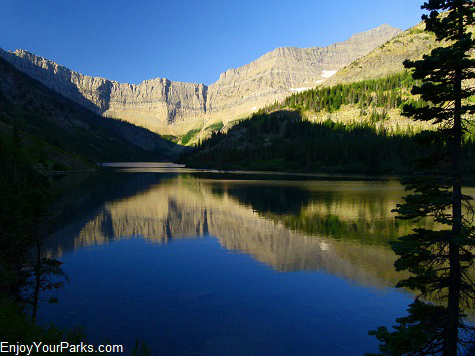 Bertha Lake in Waterton Lakes National Park. Cameron Lake in Waterton Lakes National Park. 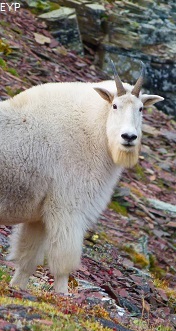 Red Rock Canyon in Waterton Lakes National Park. 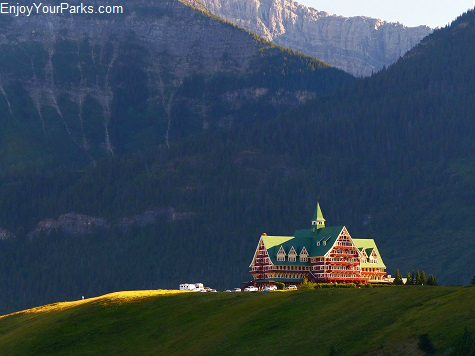 Prince of Wales Hotel in Waterton Lakes National Park.